These themed cafe owners went above and beyond offering a regular cup of joe and free Wi-Fi. Here's what they did to make their dreams a reality. Conviction and resourcefulness are what got Lien Nguyen’s poop-themed cafe in Toronto, Ontario, off the ground. She had delighted in the discovery of poop-themed cafes while traveling in Taiwan and her home-country of Vietnam, and while she owned a clothing store near Hanoi at the time, she made a mental note to open a poop-themed cafe herself someday. Years later, when she found herself married with two small children running a novelty shop in Toronto that sold her handmade pillows, Nguyen decided to pursue her degree in culinary management and start her own poop-themed cafe. 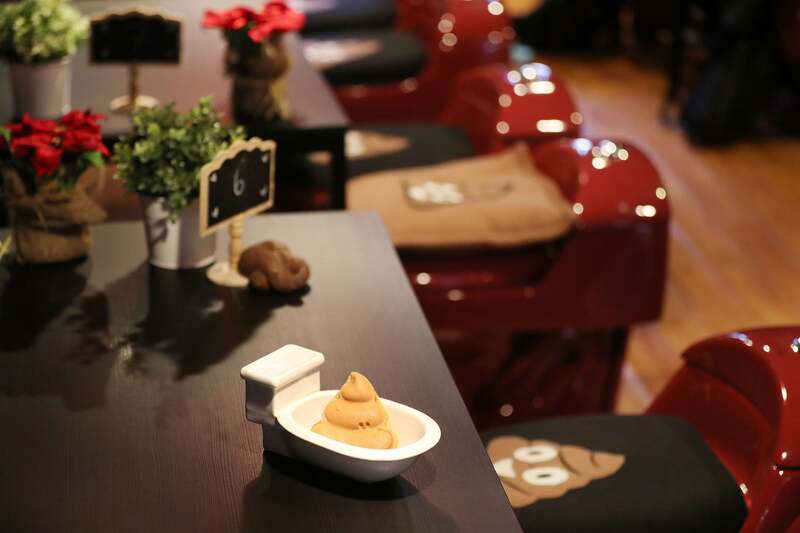 To save money, she did the decor, design and menu herself, fashioning seating out of actual toilets and creating menu items, such as the adorable poop emoji-shaped desserts served on custom-made dishes shaped like -- of course -- toilets. The doors to Poop Cafe opened in October 2016 to rousing success. Today, Nguyen has approximately 15 employees to serve the extremely busy weekend crowd -- and has plans to expand the business to the space upstairs. Nguyen is part of a wave of independent cafe owners who have cast a fascinating and sometimes unexpected themes onto their coffee shops. “Choosing a poop theme made us a big hit on social media,” Nguyen says. “It is one of the ways that make our business successful.” While the theme of Poop Cafe is undeniably bizarre, it’s also a large part of its allure and genius. After all, coffee is big business, and the competition is fierce. Sales from the coffee and snack shop industry in the U.S. are steadily climbing, from $24 billion to $32.5 billion in revenue from 2006 to 2016. The number of specialty coffee houses have climbed as well, reaching almost 31,500 establishments as of 2015, with Starbucks dominating the market. Bizarre and catchy themed cafes, like Nguyen’s, can offer something unique in menu and customer experience that most chains can’t. 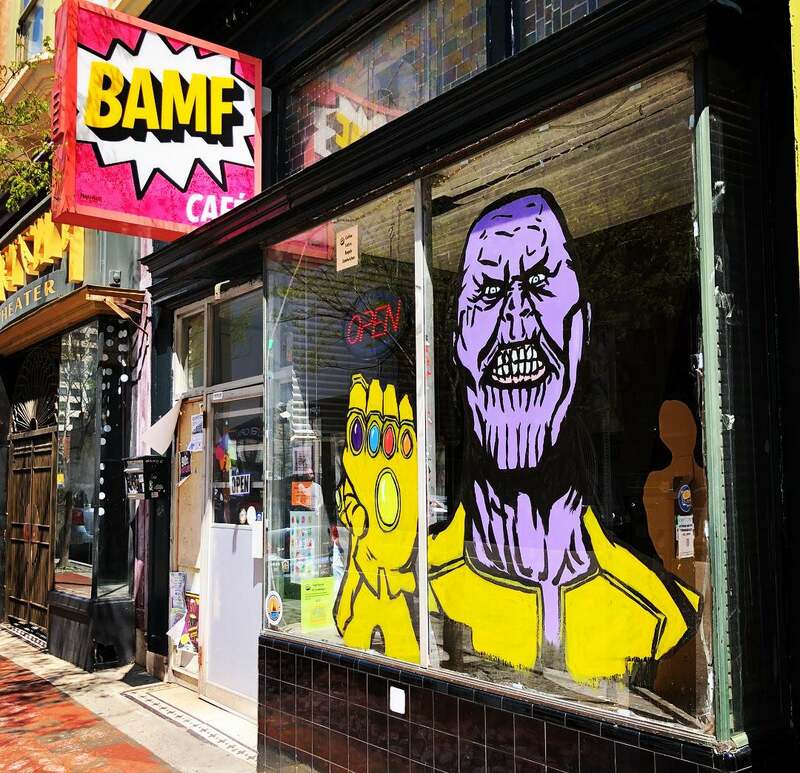 BAMF is an acronym for books, action figures, movies and friends, and the decor is kitsch with memorabilia from Star Wars, Dr. Who and Marvel Comics that he’s collected with his comic-loving father over the years. The nerd culture theme is certainly reflected in the menu. “I’m a big fan of Lost the TV show,” Springham says, “and one of the characters is John Locke, so we have a John Lox bagel. We have a peanut and jelly sandwich called the Boy Wonder. We have really good cold brew, we call it Penguin from Batman.” Part of the fun, he explains, is when the customers try to figure out the references in the menu. Springham managed a coffee shop during his undergraduate years and said he was able to transfer some of his experience into running his own business when it came to matters such as customer service and setting up his coffee supplier. However, it was when he landed a prime location that he knew his idea for a comic book-themed cafe had legs. “My friend knew the landlord really well, and they were willing to work with us,” he shares. “We’ve been open for two and half years now, but my ultimate end goal is that it can eventually run itself,” he adds. Like Springham, Lindzi Shanks and her business partner Kat Connor, the owners of XO Marshmallow Cafe in Chicago, say that real estate -- along with their mutual love for artisanal marshmallows -- was crucial in the realization of their cafe. The two had launched an online shop for handmade marshmallows in March 2016 and when a prime space became available to them in January of 2017, they knew their marshmallow-themed cafe was a go. In July 2017, the doors to XO Marshmallow, the only marshmallow-themed cafe in Chicago, opened. 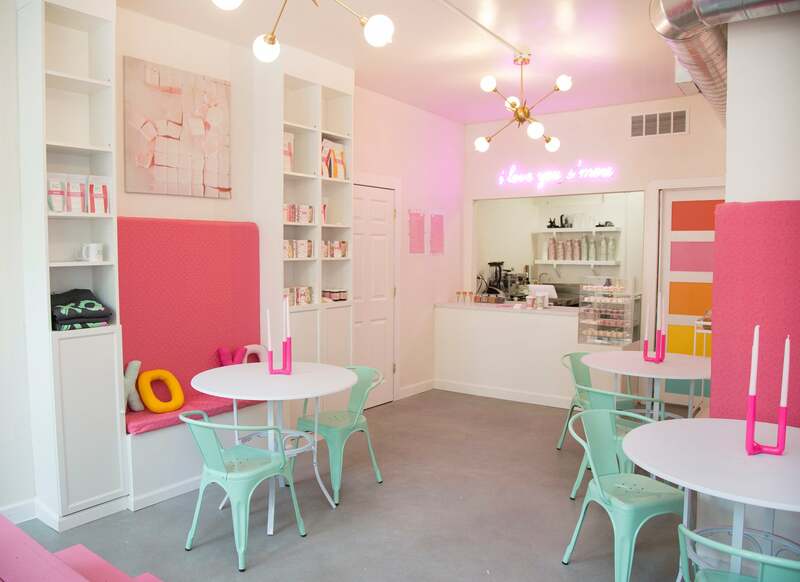 The cafe, a candyland design of pink, mint green and other sunny hues, offers coffee beverages and desserts, including S’mores and marshmallow tacos. And their business interests continue growing. “We do weddings, bar mitzvahs, corporate events -- never have just one source of income,” Shanks says. These business owners may come from diverse backgrounds and experiences, but what they share in common are the practical steps they completed to make their dreams a reality. Here are six steps to get you on your way to opening a themed cafe. 1. Select a business idea that resonates. Two years ago, the owners of XO Marshmallow Cafe hadn’t seen themselves in the themed cafe business. Connor was in her last year in law school (“I can practice law in the state of Illinois,” she says) and Shanks ran (and still runs) online clothing business The Trendy Sparrow after having earned her master’s degree in psychology from the University of Chicago. The two women knew each other because Connor sometimes helped out Shanks at her retail pop-up store during the holiday season. However, it was Connor’s obsession with marshmallows that lead the two women on a different path. During one of Shanks’s pop ups, Connor shared her dream to start an artisanal marshmallow business. Connor, who had gifted marshmallows she had made for her friends and family for Christmas, said they were so popular, she knew there was a market and sold them during the holidays at the pop-up store. The marshmallows flew off the shelves, and Shanks also became convinced they had something really special that people wanted. In January 2016, the two decided to go into business together, and the rest is marshmallow history. Connor says the budget she and Shanks put together wasn’t based on what they needed, but what money they already had from a series of pop-up marshmallow sales and a cash prize they won from the RedEye Big Ideas Award worth $1,000. After they figured out their budget and what they needed, they formed a Kickstarter campaign to raise $6,500 for kitchen equipment and ingredients. They ended up raising $9,524. The success of their campaign gave them the psychological and financial boost they needed. “We knew we had something that people wanted,” Connor says. BAMF Cafe’s Springham came up with a business plan, presented it to family members and got a loan -- he adds that he was the recipient of a lot of kindness. The landlord gave him a break on rent for the first six months. Related: Want to Open a Coffee Shop? Keep These Owners' Tips in Mind. 3. Figure out the logistics to get the doors opened. When you start a business, there are always the typical steps, including leasing the space, getting the landlord to check the electrical and plumbing, licensing and permits (state, city, business, food, safety), finding food and beverage distributors, creating the menu, finding the printers, buying kitchen utensils and equipment, figuring out the serving ware, decorating and designing the space, installing the point of sales system and more. For every business, there are different pain points. For Springham, it was completing “the health department stuff,” which he said was not only time-consuming but had to be done in a certain order (e.g. get occupancy permit, write up full menu, complete the food safety and preparation training so you’re certified). For Nguyen, the menu was the most complicated part. “People come not just because of the theme. They come because of the food, the atmosphere,” she says. Her husband encouraged her to simply focus on offering a cold menu of desserts and snacks, because incorporating the theme into a more elaborate menu would be too complicated. The logistical red tape was lessened by the city alderman at the time for XO Marshmallow’s Connor and Shanks. The alderman wanted to see business development in the area where their cafe is located, so he went out of his way to help them. “The more people you know, the less red tape,” Connor says. 4. Figure out what you can do on your own and what you have to pay for. Parse out what you can do on your own (or ask people you know to do it gratis or at a discount) and what you need to hire others to do. For instance, Connor and Shanks did a lot of the design on their own -- they went to Home Depot and built their own bench seating, and Shanks’s mechanical engineer fiance built the stairs; however, the floors were in poor shape, and they knew they had to hire someone to come in and re-do the concrete. The two also had to shell out money to build their own commercial kitchen when the production eventually outgrew the kitchen they had rented and shared with other local businesses. Springham was able to clean, paint and design the cafe on his own (with some help from friends and family), however he hired outside help to write up the mandatory health and safety flowchart required for businesses that serve food -- an important part of the permit process, which he was completely unfamiliar with. Nguyen, who is a mother to two small children, pays for weekend staff so she doesn’t have to work all the shifts. “Staff is more expensive than leasing or rent,” she says. 5. Don’t try to do it all -- get help. Sweat equity and determination will get you far, but don’t try to do everything on your own. BAMF Cafe exists as a family collaboration. Springham got a startup loan from family members as his mother helps with taxes and his sister is head cook. He says his friends also helped him design his space pro bono and continue to do so. Shanks and Connor lean on each other -- and their respective circle of contacts. “Talk to people who can help you get it done, those are the people who will possibly help give you discounts. We trade in marshmallows, so we’ve donated S’mores bars, we’ve donated our time,” Connor says. Nguyen gets help, as well. She got her startup money from her family and leans on her husband to do repairs. 6. Reinvest back into the business. A rule of thumb for Connor and Shanks is that they take 10 percent of the cafe sales and put it into savings -- or use it to pay off invoices or for a piece of equipment. Initially, they paid for rental space in a shared kitchen, but as their business and production grew, they had to invest in building their own commercial kitchen space -- which paid off. The two also have purposefully grown their business so that they have income streams in addition to their cafe: an online marshmallow business and they also do corporate gifts and cater events.